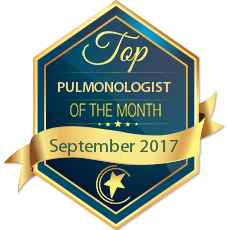 I am a pulmonary, critical care and sleep medicine specialist. I work in a non profit hospital serving the medically needy population of the country. I have been able to bring specialized services such as treatment of pulmonary hypertension and advanced bronchoscopies to the rural areas of the country. This has helped in provision of these sophisticated services closer to the grass root levels. I would like to post my evaluation of Dr Ankur Girdhar MD. Dr Girdhar is a phenomenal physician. Has had been an excellent addition to our medical staff. He has energized our critical care program with his combination of skills, knowledge and enthusiasm. As a result of his efforts our program is now one of the best in the state. I have had the pleasure of working with Dr Ankur Girdhar during my internal Medicine residency training. As an intern working on Dr Girdhar’s team, it was evident that he is a cut above the rest. Dr Girdhar possesses a remarkable fund of knowledge and is extremely effective teacher, helping me navigate through complex clinical situations. 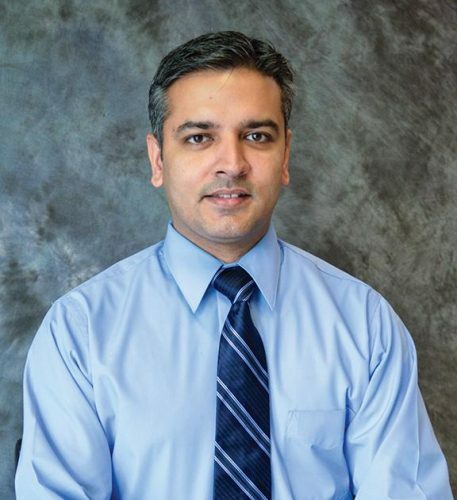 Above all, Dr Girdhar is a compassionate physician who always puts the needs of his patients first. I would entrust Dr Girdhar with the care of my family members without any hesitation. Dr. Girdhar has a pleasant personality and amazing bedside manner. Its always a pleasure interacting with him. He is very thorough and knowledgeable. He is highly recommended for all pulmonary and critical care needs. 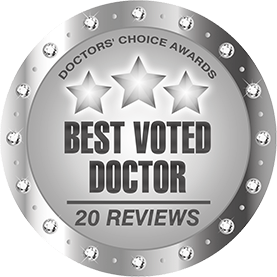 I have worked with Dr. Girdhar for 2 years now and he is an excellent physician. He is skillful and knowledgeable but above all, he is kind, caring and compassionate. He truly is committed to providing the best possible care to each and every patient. He also, goes above and beyond to help his colleagues when asked for a consullt. I have had the honor of working with Dr. Girdhar during my internal medicine residency program, while I was in the critical care unit. He was wonderful to work with. His knowledge, kindness and teaching skills were excellent. I learned a great deal of critical medicine through him! He made it both fun and challenging. He is very gentle and approachable with his patients. Patients should know that they are in the hands of a very capable physician!!! Dr. Girdhar is a great mentor and one of the most brilliant medical minds I have ever known. But most of all, he cares about his patients and always goes over and beyond to meet their needs. He is a great teacher and well loved by medical students and residents. I still consult with him on difficult cases and his responses are always well thought through and accurate. I know Dr. Girdhar personally and he is somebody that I can trust to take care of my own family, if needed. I guess that says a lot. I have had the pleasure of knowing and working with Dr. Ankur Girdhar during his fellowship training. He is an extremely knowledgeable doctor. He was very well liked amongst all our colleagues and wonderful to work with. He enjoyed teaching and constantly learning, he mentored me in writing a review and case report with him. He has great procedural skills and a great work ethic. A few of his best attributes include his humility, kindness and empathy with which he treats all his colleagues and his patients with. I have worked with Dr. Girdhar in the past. He is extremely professional and compassionate. I would recommend him to anyone looking for a Pulmonologist, including my own family members. I have known Dr Ankur Girdhar as a Critical Care Specialist for almost 2 years . His clinical judgement and bedside manners are excellent . He takes an extra mile to explain the intricate mechanisms of lung and Ventilator in a simple manner to his patients . His procedural skills are exceptional with a very minimum complication rate. His dynamic and compassionate approach has always escalated him as one of the Top Physicians of this area . Dr Ankur Girdhar is my colleague and a very good friend who I have come to know for over a year now. He is an excellent physician and proceduralist. He is loved by all the nurses and the staff at the hospital. He is a compassionate, caring and invested intensivist. He is highly knowledgeable and I frequently go to him for advice. 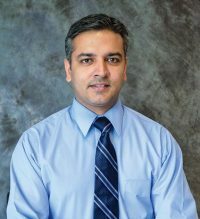 Dr. Girdhar is always willing to have candid and difficult conversation with families and helps them make difficult decisions. I highly recommend him. I have known Dr. Ankur Girdhar since 2008 and we have worked closely together as internal medicine resident physicians. 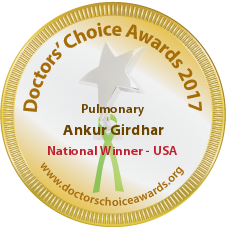 Dr. Girdhar is an excellent physician and pulmonary/critical care specialist but, moreover, he is kind and caring person. He treats all his patients as family members and always goes the extra mile to ensure optimal patient care. Dr Girdhar is an excellent physician whose compassion and commitment to patient care has always stood out. He is highly skilled in the field of pulmonology and critical care, I often referred my patients to him. Patients often reported back about his excellent bedside manner and ability to show empathy. I have known Dr Gidhar for the past 7 years. He was one of my junior residents while in Internal Medicine residency. He is humble, intelligent and industrious. He was well liked by his patients and coworkers. He maintained these excellent qualities through his fellowship training in Pulmonary and critical care. Dr. Girdhar is an asset to peninsula regional group. He is soft spoken and very compassionate. His clinical knowledge and skills are excellent. Our patients have been extremely satisfied with his care. He is always willing to help and give his expert opinions where needed. I have had the pleasure of working with Dr Ankur Girdhar for the last twelve years. He has in depth knowledge in the field of pulmonary and critical care medicine and is very dedicated to his profession. During my years of training with him, I always found him to be very proactive to learn about new therapies and provide best care for his patients. This is reflected in many awards that he has won during his training years. He is very professional with his colleagues and compassionate with his patients. He makes an extra effort to spend time with his patients which makes him one of the most popular pulmonologist in the area. It has been my pleasure to know Dr Ankur Girdhar as a colleague. 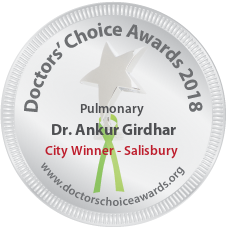 I refer my difficult and complicated patients to Dr Ankur Girdhar for expert opinion, especially patients who require procedures like endobronchial ultrasound biopsy (EBUS) and navigational bronchoscopy. During our interactions with him I have realized that his knowledge is exceptional and well utilized. His work is flawless and patient management is impeccable. He is compassionate and empathetic towards his patients. 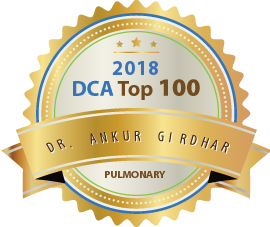 As a pulmonologist and intensivist, it is my professional and experienced opinion, Dr. Girdhar has attained a high degree of expertise matched only by a few of the most senior physician in the field of pulmonary and critical care. Dr Ankur Girdhar is an excellent physician, whose commitment to quality care and safety of his patients is exemplary. He is very responsive to his patients needs, and I have seen him make all efforts to help patients understand the nature of their illness and what he can do to help them get back to life ASAP. I had the pleasure of working closely with Ankur as a co-fellow during our pulmonary and critical care fellowship. He has excellent clinical and procedural skills. He had an amazing working relationship with colleagues and nurses. One of his greatest attributes was his follow up , he would take notes as clinical questions arose during patient care, and would sit down and discuss with attendings and carry out his own research to come up with answers, I think this habit made him grow a lot as a physician. His patient interaction was exemplary, he was compassionate and understanding.